Was Jesus really married to Mary Magdalene? Did they actually have children who intermarried with the French royal family? 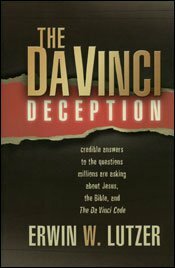 Has the church been hiding the truth for centuries? In his best-selling novel, The Da Vinci Code, Dan Brown blurs the lines between history and fiction, leaving readers wondering, "Could this really be true?" By distorting the truth, Brown implies that Christianity is based on a lie. Dr. Lutzer examines the "facts" behind the fiction and provides clear and authoritative answers to the confusion surrounding the life of Jesus and the Christian faith. Whether or not you have read Brown's novel, you will gain a new understanding of the issues presented and the historical basis of early Christianity.